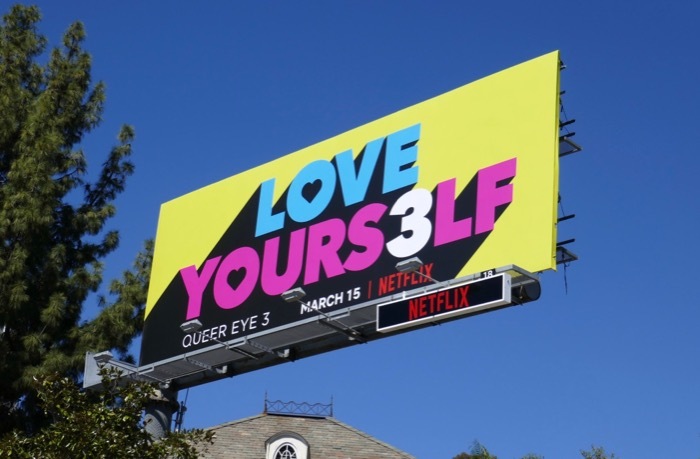 Love is in the air this March thanks to the return of the 'Fab 5' from Netflix's Emmy Award-winning Queer Eye for their third tear-jerking season. 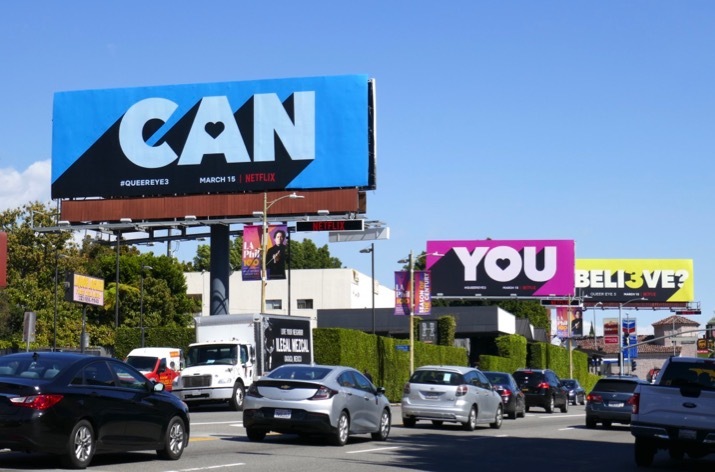 Jonathan, Antoni, Tan, Karamo and Bobby are back to work their makeover magic on a fresh batch of willing participants, supplying new haircuts, new wardrobes, new interiors, new skills and a whole new outlook on life. 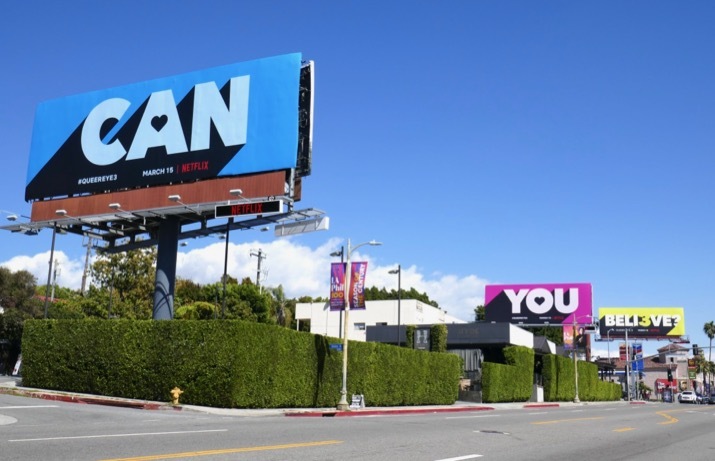 These vibrant season three billboards having fun with typography were snapped along West Hollywood's Sunset Strip on March 12, 2019. 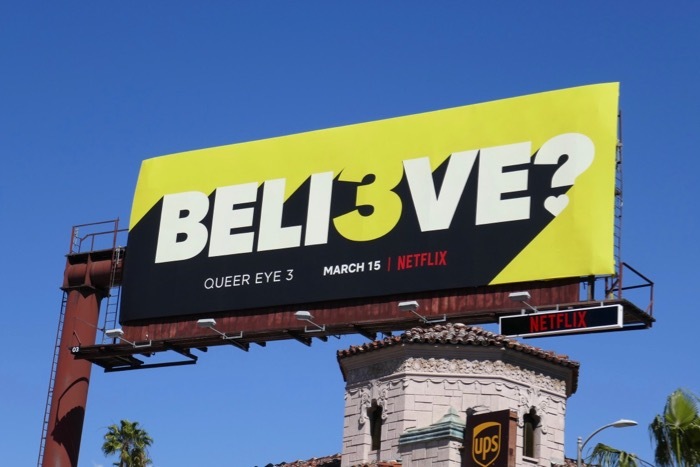 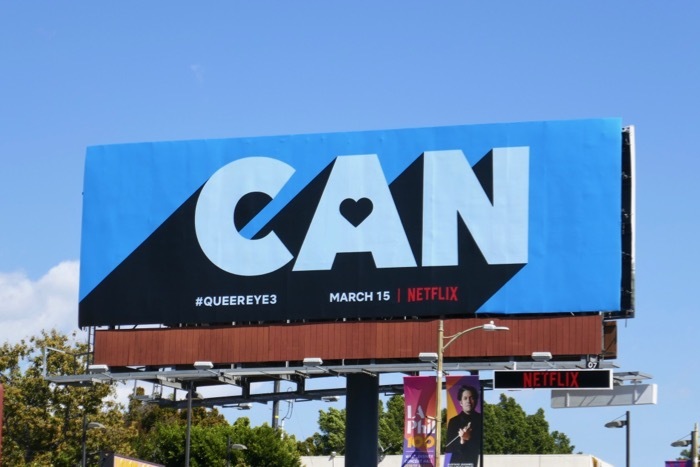 Fans of the rebooted and revived Netflix show can also check out these previous season and awards consideration billboards for Queer Eye. 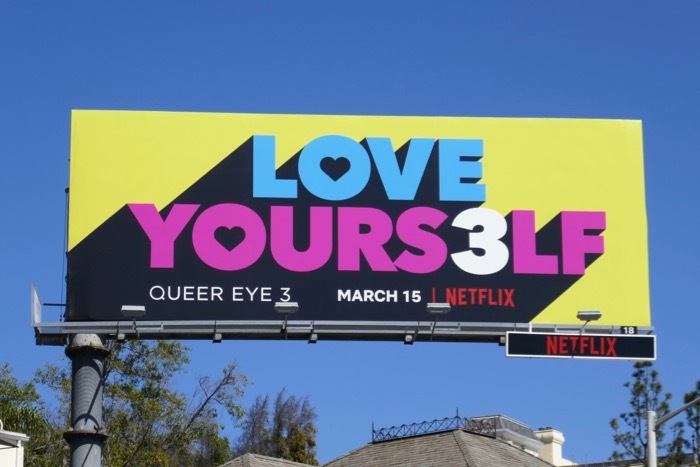 Not to mix up our pop culture references, but if you can't love yourself, how in the hell you gonna love someone else. 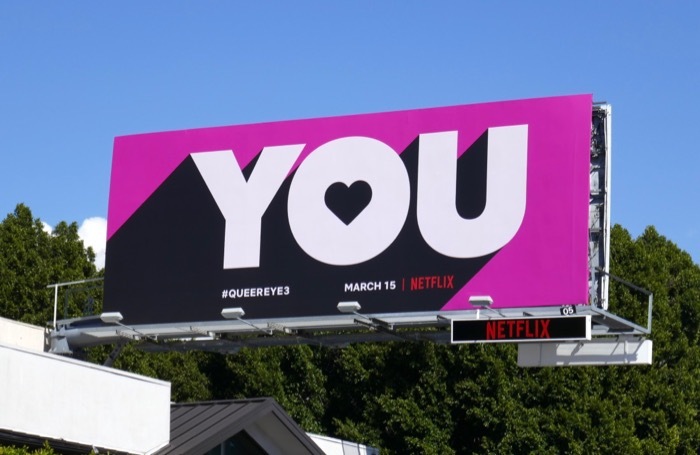 Yas Queen.